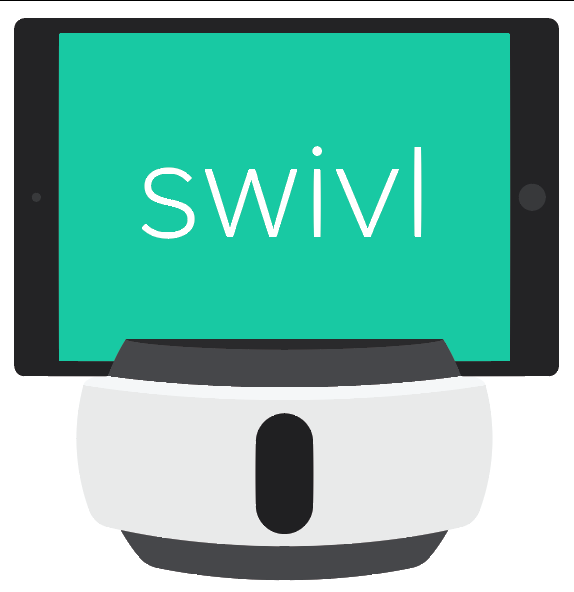 Please note that Swivl is compatible with the newer model of iPad Pro however setup currently requires extra support. Full compatibility is expected for all robots starting in Summer 2019. The minimum compatible Swivl firmware version for iPad Pro is 10.03.21 or higher. If your Swivl base currently has an older firmware version than this, you will need to update to 10.03.21 using an older iOS compatible from the choices listed above. Please contact our support team so we can assist you with your firmware update if you're unsure how to complete this process. We also produced this quick podcast on this process if you would prefer to get going on your own! To connect your iPad Pro to the Swivl robot use the Micro-USB cable (shown on the left below) provided in your C Series kit with a Type C adapter. A compatible Type C adapter (shown on the right below) is currently available for purchase on www.swivl.com/store.